Come get your Free Stencils to Print, right now, from your computer! Get that project started today. OK you made your way to our free stencils to print page but this is only one of many pages we have with free stencil patterns for you to work into your next stenciling project. 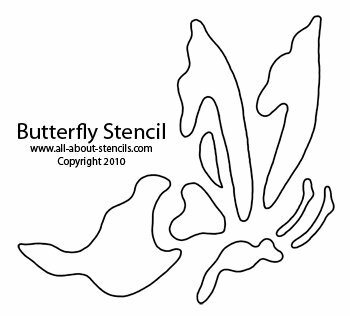 Just go to Free Stencils or check out all of our pages to find more. Of course, I hope you remember All-About-Stencils for all of your stencil art needs! Don’t know what to do with them? No problem! Just look around on this site and you’ll get loads of ideas. Wait! Don’t just print your stencils from this page and leave. I’ve added a couple of helpful tips and ideas here too. Got Frogs? I love the little creatures. There is just something so lovable about them. 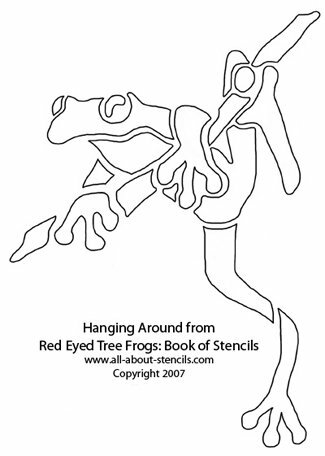 Would you like to see a cool project with the frog stencils? (OK, just click on the blue text or the frog). Stippling is simply tapping or dabbing the loaded brush throughout the stencil openings. This technique produces a more even tone and less depth. Swirling is moving the brush in a circular, swirling motion against the openings. This technique produces an effect of depth because more color will be along the edges of the openings and the centers will appear lighter. I always think of the swirling technique if you are trying to produce a finished image that has a worn down, vintage look. To watch a very unique stencil project idea video using one of the free stencils to print from this web site, scroll down to the bottom of this page. Are you new to working with paper stencils? If so (or even if not) you should know that you can prepare your paper stencils so that they can be used again and again. Yeah! That’s right. The one you just printed can become a long term free stencil. It’s easy. Do you have some of that clear, wide packing tape? Just use it to run even strips covering all of the paper surfaces before you cut out the stencil. Burnish or rub the tape down to get the air pockets out. That’s it. If you are going to become a stencil expert, I recommend that you buy a roll of clear shelf liner. It's a perfect clear coating for your stencils and you can cut sheets big enough to cover the whole page. Working with paper stencils has a few advantages. You can adjust the size of your paper stencil to fit the size of your project. Just take the page to a copier and reduce or enlarge. Then cut out the stencil openings. It's that easy. The Pineapple Stencil has been a popular design motif for centuries. 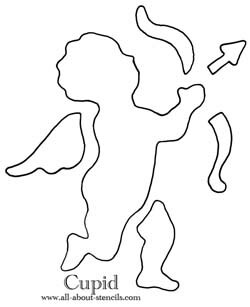 Here's more free stencils to print for you and a little trivia about why it is so loved. If you are creating your own private rain forest you'll need this Tropical Flower Stencil to provide a splash of color. For another much loved symbol here are free stencils to print that will inspire your patriotism. Don't miss this Eagle Stencil and the great project ideas for decorating with it. Toile Stencils are rare because Toile Designs are complex and detailed and stencils create simplified images. 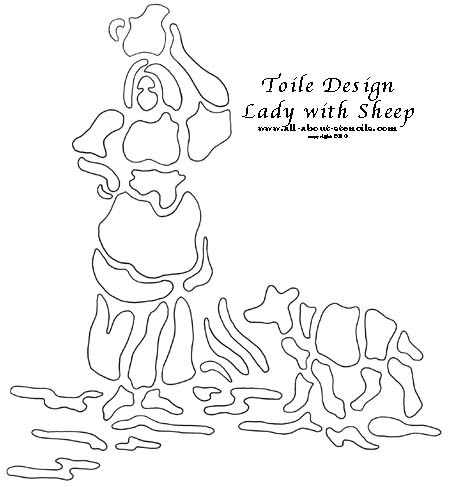 However, I have designed a toile stencil for you to try in your next project. Again, this is a very simple design as far as this design requires. I used this pattern on a throw pillow project so follow the link or click on the stencil to see what you can do with it and learn more about Toile Stencils. And hey! Don’t forget that I (and everyone else) want to see what you have done with your Free Stencils to Print. Just click on Stenciling Projects to get your masterpiece showcased here on this web site. Won’t that be exciting! Or if you have any questions or want to share information join in on the Stencil Blog Well, I hope to hear from you soon. Wait! Wait! Here's that project idea video that I promised you. The pattern is available free at Trompe L'oeil Stencil. Enjoy! Return to Home Page from Free Stencils to Print. Return to Free Stencils from Free Stencils to Print.